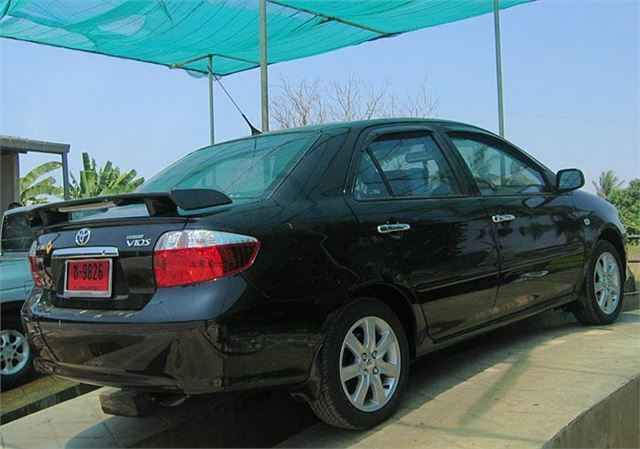 Yaris-based saloon that looks cute, drives very well and is solidly put together. Toyota never sold it in the UK. Rebodied March 2007. Same 110PS 1.5 engine and 5-speed manual or 4-speed auto. Distinguished by chrome bar across centre of grille. 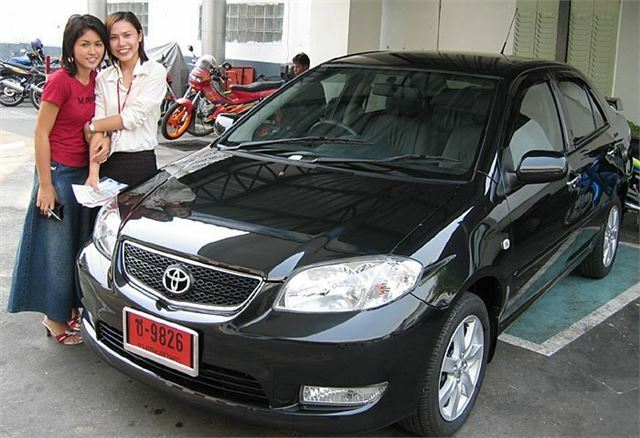 The Soluna Vios is a pretty Yaris-based four-door saloon built in Thailand for the Thai market. Thai Car of the Year 2004, sales have taken off to such an extent that most of the new cars with red plates you see on the streets of Bangkok are new Soluna Vios. And with very good reason. Even the base J model comes with metallic paint and aircon as well as an excellent 109PS chain-cam engine. But this test is of a 1.5S auto, the spec of which includes central anti-hijack auto locking, electric windows front and back, electric mirrors, digital instrument display, single CD player, front fogs, alloy wheels, twin airbags, reverse warning beeper, four wheel disc brakes and ABS. The dealer threw in a remote alarm/immobiliser, extra rustproofing, gear selector lock, extra glass tinting, overcarpets and overmats. And we added side window visors, grey leather interior pack, a car cover, plus the inevitable spoiler.